Shhhh. Someone in the Federal government wants to keep a secret. Someone—though no one is saying who—does not want you to know that the Federal government is panicked about climate change. The new report is volume two of the 4th National Climate Assessment (volume I, focusing on climate change science, came out in 2017). 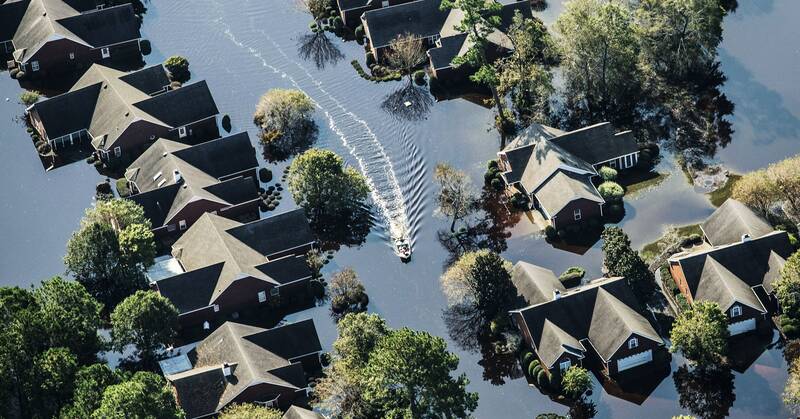 It’s the result of a 1990 law mandating a quadrennial US version of the climate reports published by the Intergovernmental Panel on Climate Change (like one published last month, which says the worst effects of climate change might hit as soon as 2040—real soon, y’all). NCA4 was supposed to come out in December. About a week ago, the feds informed its authors it might be coming out a wee bit earlier. On Wednesday, the press release went out: They were publishing the report on November 23, Black Friday, the day after Thanksgiving, busiest shopping day of the year. It is the most Friday-News-Dumpiest of all possible Friday News Dumps. The tragedy, according to the new report, will be shaped by profound effects on US ecosystems and industries. How bad those effects will be depends on whether emissions continue on the same trend line as they are today. NCA4 authors used widely agreed-upon models of the future called Representative Concentration Pathways, scenarios built for the Intergovernmental Panel on Climate Change that take into account emissions, aerosols, land use, and a bunch of other factors. At the very worst end, where emissions increase until 2100, is a future called RCP8.5. (The number refers to a change in energy flux at the top of the atmosphere of 8.5 watts per square meter, an outcome of lots more heat energy trapped inside; today’s climate trend lines map to RCP8.4) But the NCA’s authors also looked at a scenario where humans manage to significantly reduce greenhouse gas emissions by mid-century. That’s RCP4.5. Some changes are already baked in, even if people stopped emitting all GHGs on Monday. These are the kind of disasters that have become more common in recent years. Hurricanes will get more intense more quickly and will drop more rain. Temperatures will rise; droughts will be more frequent, and so the number and severity of wildfires will increase, including in regions where they aren’t common, like the southeast. At the coasts, sea level will rise, anywhere from one foot to as much as 10 feet under the worst-case scenario (which climate scientists also tellingly call “business as usual”). Corals will die, fish will die, fresh water will become more scarce, diseases carried by insects will spread further—and, as usual, the people disproportionately affected by all this will be poor, people of color, native people, children, and the elderly. Then there will be more subtle, even more serious effects. RCP4.5 includes an estimate of sea level rise on the high end of 3.3 feet; the report says that would expose dozens of power plants nationwide to 100-year flood levels, jeopardizing 25 gigawatts of power … just when people will need more electricity to deal with rising temperatures and worse air quality. These effects build on each other. Power plants—especially low emissions technology like nuclear and hydropower—need cold water to keep functioning. Cold water is exactly what there is less of during a drought. So you can see the problem there. In the southwest alone, drought in California dropped hydropower generation by two-thirds from 2011 to 2015, says NCA4. The water level in Lake Mead, on the Nevada-Arizona border, is down by half—that’s water for drinking, for irrigation, and for Hoover Dam, the generating facility that arguably made the American southwest possible at all. That drought also cost 10,000 agricultural jobs and 540,000 acres of land—$900 million of crop revenue in 2015 in California alone. Under the worst scenario, further temperature increases would make most of the state’s Central Valley, the country’s principal source of fruits, vegetables, and nuts, uninhabitable by those plants. This future isn’t foregone. US greenhouse gas emissions have actually fallen in the last ten years, mostly because the country makes more electricity with natural gas and renewables now. Blame the transportation sector—your car and online shopping’s trucks—for most of the US’ carbon blast. States and cities are actually working on greenhouse gas reductions at the same time as they’re building a new, integrated way of thinking about risk into their future plans. As climate scientists talk more and more about the loss of stationarity, the idea that past performance (of weather, climate, rainfall, fire, flood, anything) no longer predicts future outcomes, the whole way human beings build cities, infrastructure, and agriculture is going to have to change. The report explicitly does not make policy recommendations, but its implications are clear. Further reductions in those emissions will mitigate the worst outcomes. Even the warming world forecast by RCP4.5, with serious emissions reductions, could avoid tens of thousands of deaths due to extreme heat and bad air. It saves as much as $134 billion in labor costs (as when people can’t work outside because it’s literally too hot). And it could save billions in money spent to preserve water quality. Forget your worries about where you’re going to buy spiky leather jackets appropriate for post-apocalyptic death races; there are tens of billions of dollars of the US economy on the table here. Which ought to make you wonder why the president says things like “Brutal and extended cold blast could shatter ALL RECORDS—whatever happened to Global Warming?” on Twitter. When Jim VandeHei of Axios showed the president volume I of this report, which was dedicated to the science of climate change, President Trump dismissed it. “We do have an impact, but I don’t believe the impact is nearly what some say, and other scientists that dispute those findings very strongly,” Trump said. To be clear, the president is wrong about all of that. His own scientists contradict him, with evidence. And he still plans to drop out of the Paris Agreement to limit global greenhouse gas emissions.